Looking for ways to reduce your electrical usage? One of the biggest users of energy are electric lights. If you are lighting a parking lot or sidewalk, using light-colored concrete instead of black surfaces will reflect the light and reduce the number of lights you will need. The Albedo effect is a ratio of solar radiation that is reflected off of a surface compared with the amount that shines on that surface. 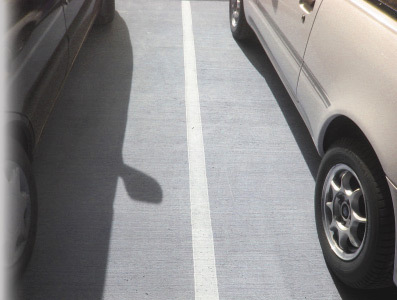 Concrete is 10-14 times more reflective than newly paved asphalt. Studies show that using light-colored concrete surfaces have 33% less operational energy costs than a surface paved with asphalt. Concrete surfaces need 24% fewer lights and lower wattage light bulbs to achieve the same amount of light as asphalt paved surfaces. For more info, click here. Normal Albedo ratios for concrete range from .4-.7. You may receive LEED credits for reduction of Heat Island Effect by using concrete with a Solar Reflective Index (SRI) of 29 or greater. For more info, click here.